by Garry Emmons. Data collection by Ericka Webb. In response to a special Bulletin survey, hundreds of HBS alumni selected the people, products, and events that in their view have most affected business over the last 75 years. These intrepid respondents also did some crystal-ball gazing, hazarding predictions for 2025. Since the Bulletin first appeared in 1925, Harvard Business School has sent forth tens of thousands of MBA and Executive Education graduates into the world. As managers, leaders, and entrepreneurs, the School's alumni body collectively has had an impact on enterprise and business practice that likely surpasses that of any other academic institution in the world. For three-quarters of a century, the Bulletin has tracked the extraordinary record of achievement of HBS alumni. And so it seems fitting that at the dawn of a new millennium, we should draw upon the vast experience and knowledge of that alumni base as a way of assessing the business past and looking ahead to the future. * Total responses from MBAs and Executive Education participants who graduated in or before 1975 and those who graduated between 1976 and 1999 were roughly equal in number ( 399 and 418, respectively). Not all respondents indicated their class or year or answered all questions. The survey concluded July 15, 1999. In selecting the "most influential business leader" of the last 75 years, HBS alumni, graduates of America's best-known school of management, chose a college dropout with no formal business or management training. That in-dividual would of course be Bill Gates, CEO of Microsoft, who put in just one year at Harvard College before retreating westward to lay the groundwork for the computer revolution. HBS alumni selected Gates, barely twenty years old and a business neophyte when he cofounded Microsoft in 1975, even though the company he started has been in business less than 25 years. That's a relative blink of an eye compared with some of the enduring Fortune 500 powerhouses that can trace their roots back to the turn of the century - firms that helped make this the prosperous and powerful "American century." Yet alumni of all ages were convincingly behind Gates, albeit sometimes grudgingly ("I pick Bill Gates, not necessarily from a moral character or leadership standpoint, but from an 'influential' product penetration standpoint"). 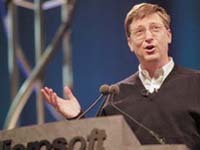 More typical were responses such as "Gates made the PC revolution possible" and "no single individual has achieved so much in such a short time," with "Microsoft's technology accelerating the world economy." The runner-up to Gates was General Electric CEO Jack Welch. "Welch turned around a giant in a way few have and redesigned what a major corporation can be," as one alumnus put it. Added another, "Welch's vision of a nonbureaucratic large organization makes GE the business everyone wants to copy or raid for talent." Legendary carmaker Henry Ford finished third. Like Gates, Ford manufactured a product that changed the world by dint of its pervasiveness and indispensability. 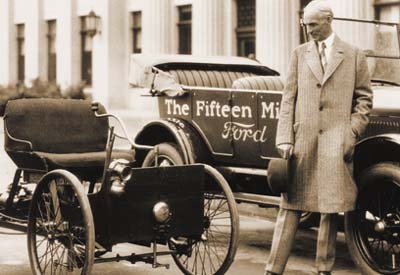 But as some noted, Ford also introduced revolutionary management, workplace, and business innovations that in and of themselves transformed the worlds of work and leisure. As one respondent said, "Henry Ford, for the auto itself and his influence on the work force," while another noted Ford's "perfection of the use of interchangeable parts and the assembly line, concepts employed by essentially all of business today." Alfred P. Sloan of General Motors, who "did the most to implement modern management methods in American business," finished fourth, followed by IBM's Thomas J. Watson, whose "computers enabled the automation of well-informed decision-making, allowing business and the work force to migrate from manual labor in a stable market to development work in a rapidly evolving society." Among dozens of other leaders cited were W. Edwards Deming, Franklin D. Roosevelt, John Maynard Keynes, Sam Walton, J.P. Morgan, Martin Luther King, John D. Rockefeller, and Peter Drucker. Also mentioned were Bernard Baruch, Oprah Winfrey, Howard Hughes, and Ben and Jerry. Bill Gates may have been selected as the most influential business leader, but the internal combustion engine beats Windows as an operating system by a mile - the automobile rules as the most significant consumer product of the last 75 years. As one respondent put it, "Building, selling, and fueling the automobile has dominated world industrial development." Another described the car as "revolutionizing the role of transportation in everyday life and business. It made more of America accessible, resulting in the generation of a large number of new businesses and industries." One respondent observed that "the automobile has provided the means for people to work collectively and live separately, allowing them to choose where they will live, work, and socialize like no other product does. This independence is a core value in the United States." On the downside, however, were comments such as, "Other less mobile cultures have more centralized cities, with tighter cultures and families; the United States has urban sprawl, massively wasteful resource usage, looser nuclear families, and much less sense of community." Television came in second, and its drawbacks too were duly noted, along with its enormous power and influence. "Television was revolutionary in its impact on information dissemination, culture, and politics; the product with most impact on the consumer since the printing press," declared one respondent. "Television is evil and is about where smoking was in the 1950s - we know it's not healthy, but we don't yet understand its true downside," opined another. "Television simultaneously brought the world into our living rooms and removed discourse and intellectual curiosity by making generations of people couch potatoes" was a sentiment shared by several alumni, while one alum intriguingly observed that "television and film create the paradigms of behavior once monopolized by religion." In third place was the personal computer. As expressed in the following medley of opinions, even though "no product has had a more significant impact on the world of business and trade," the personal computer is "still only a precursor to the 'information appliance' that will allow us more flexibility in choosing where we want to work and play, leveraging our intellect, and making life more enjoyable," a machine that is nothing short of "the greatest leverage of human potential ever developed." "As the commercial world moves from manufacturing to information, the tool is the personal computer," one alum noted, while another confessed that it would be "the first thing I'd take to a desert island." Surprisingly, older alumni rated the personal computer second and the "tube" third, although one older respondent noted that "the pervasive influence of TV has not yet been superseded by PCs." Other products named included antibiotics, the Pill, radio, refrigerators, and flush toilets. While the low-tech automobile was selected as the most significant consumer product, the "most significant innovation for business" was overwhelmingly seen to be computer technology. "Computer technology will drive commerce for the next fifty years," one respondent commented, while another added that "with almost Œreal-time' information, business can now make appropriate decisions rather than guess." Second on the list was telecommunications, "a great facilitator, the pipeline that allows other innovations to happen (the Internet, mass media)," according to one alumnus. Another noted that telecommunications also enable "the emergence and success of complex organizations with large-scale integration and interdependence." Third among alumni was the Internet, although younger graduates were more than twice as likely to pick it for that spot than were their older colleagues (who ranked the Internet only slightly ahead of jet travel). "More people are using the Internet faster than was the case with the automobile, the telephone, or television," concluded one respondent, while another peered inside the machinery to see what makes it all run: "The transistor made the computer revolution possible, which in turn begat the Internet." Among other innovations noted were mass media, plastics, air-conditioning, mass production, Japanese competition, globalization, access to capital, electricity infrastructure, and cell phones. Citations for the "most influential company/organization" conformed to choices for most significant innovations and most influential leaders. 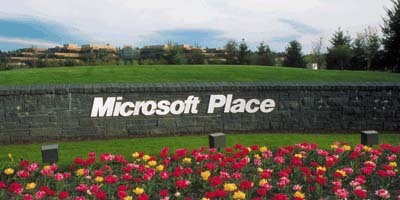 Microsoft finished convincingly at the top of the field overall. (Older alumni were evenly divided between the software giant and its closest challenger, IBM, while younger alumni put Microsoft well ahead of Big Blue.) 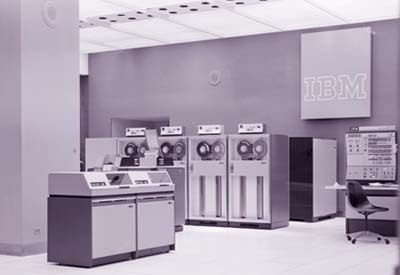 It was IBM that first gave business "the ability to process information that has transformed the world," one respondent asserted. General Electric finished third with both groups, with General Motors a distant fourth. Among dozens of other organizations cited, many picked the "U.S. government" or branches of it (the IRS, Defense Department), along with AT&T, Hewlett-Packard, Intel, Ford, Disney, Wal-Mart, Federal Express, OPEC, Russia's Communist Party, and Harvard Business School. When alumni were asked the "most significant event/development for business" over the last 75 years, the top votegetter among all respondents was World War II, recognized for its sheer sweep and influence over so many areas of business and society. "World War II catalyzed mass production techniques, quantitative analysis methods, women in the workplace, and world trade through the Marshall Plan and Japan's economic renaissance," as one respondent succinctly summed it up. Second place (tied with "Other") went to "Women in the workplace" , which "broadened the talent base and revolutionized U.S. consumption and society," as one alum commented. Women on the job "diversified the workplace and brought different ways of analyzing business and making decisions," and "more than any other event" the emergence of women in the workplace "has challenged the complacency of established management," others noted. The phenomenon "has changed the way men and women view each other," according to one respondent, and significantly affected "the basic structure of the family," added another. "Other" ruminations included this reflection on the rise of high technology: "In the past, people saw a need and tried to fill it. More recently, with rapid advances in technology, people are seeing capabilities and trying to retrofit them to needs." Also seen as significant were a host of other issues, among them "entitlements, such as health insurance," "junk bonds and the LBOs of the 1980s and today's mergers, which are both cause and effect of major shifts in the economy," "downsizing," "deregulation," "venture capital," "gene engineering," and "the litigation explosion." In third place was the "Cold War's end," an event that provoked a range of alumni comment, including "trillions became available throughout the world for nondefense spending," which "for the first time since World War I opened the world to global capitalism and allowed human creativity to shine and let millions have a better life." According to some respondents, the end of the East-West geopolitical confrontation has promoted "a rapid rise in enterprise, with a swing to consumer power over producer power and the attraction of capital from unproductive government uses to free enterprise," all of which has contributed to a "globalization of markets and free-market economies." 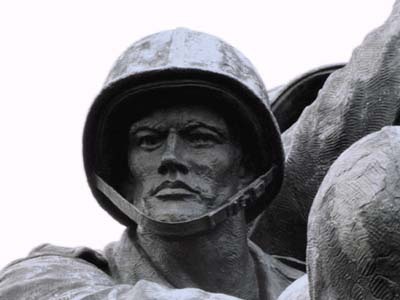 One alum issued a gloomy warning: "The new 'cold war' is the competition for economic hegemony." In contrast to their reflections on the successes of the twentieth century, HBS alumni optimism was guarded toward the coming years when viewing the future from a global perspective. Chief among several concerns was a worldwide rich/poor disparity, which respondents worried was "increasing at an increasing rate" and held "long-term consequences that could include overpopulation, war/terrorism, and environmental destruction." But one respondent asserted that "the gap may widen but the lot of the poor will improve enormously - is that 'worse'?" Of a broad menu of issues, alumni saw many as being interrelated. "All other issues are either the result of or are materially affected by population growth," said one; another concurred, "Overpopulation contributes to environmental degradation. I'm pessimistic. I do not see a widely dispersed will and discipline to improve." "At the current rate that the environment is deteriorating, it will exacerbate all other problems," said a respondent. Opined another, "Problems that have no owners - the environment and wealth disparities - will get worse, not better." As for how specific issues will affect the United States in 25 years, alumni opinion was mixed. On the negative side, alumni were five times more likely to see public confidence in government as "the same or worse" in 2025 compared with today. Both older and younger alumni saw "values/morality" and "rich/poor disparity"as worsening significantly from 1999 levels. The outlook for the condition of the earth's environment was less clear, although younger alumni were more pessimistic about the environment than were their older colleagues. In several areas where problems in the United States today seem deeply entrenched, alumni were strongly confident that things would improve. A large percentage of respondents saw race relations as better in 2025 than they are now. By decisive margins, both older and younger alumni agreed that race relations were more likely to improve than to worsen. A similarly strong margin across both groups saw two other dominant issues at century's end - health care and education - as getting better. As for the role of business in the coming decades, 73 percent of alumni respondents saw the influence of corporations on society as the same or increasing. So what should business schools, and HBS in particular, be teaching? 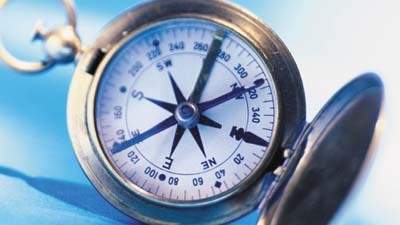 Morals, ethics, and values led by a wide margin, followed by globalization, entrepreneurship, technology, and leadership. Suggested essentials for HBS include "equipping students for the global marketplace (culture, languages)," "business relationships with government," "human interaction with technology," "entertainment as thought leader," "corporate influence on society," "closing the wealth gap," "more balance in life/work," "leaving the world better than you found it," "managing radical change in very short time frames," "the role of business as society begins to seek more balance between material acquisition and spiritually oriented directions." Both alumni groups, especially younger grads, saw business schools as having only the same or less influence in the future compared with today. Just 16 percent of respondents felt that b-schools would have more influence in the future than today. Twenty-five years from now, we trust that the Bulletin, in a format - or device - that may look quite different from the magazine you are now holding, will revisit this and other predictions. Will the vaunted analytical skills of HBS alumni prove to be on target? Stay tuned. What essentials shoiuld HBS stress for the future? What Is Harvard’s Impact in the World?